The apartment is very nice. And I missed several messages from Lisa to collect our arrival time and so on. Therefore, be alerted to the emails from booking. The location is fantastic and we really like the apartment. So warm and comfortable as a home. Everything is well organized and prepared. Easy check in, host Lisa was waiting for us even our flight was delayed. Lisa has everything we needed (including all kids of tea bags/coffee pot, laundry detergent, dishwasher detergent...) ready and we appreciated the clean functional apartment. Central location but street noise are pretty low. 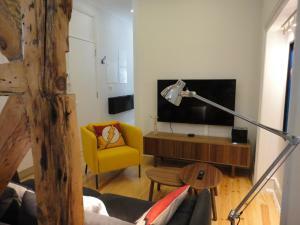 Central location, very cosy, comfortable, owner everything in General! very nice flat, fully equipped and ideal for us (a family with two children). The property is very close to many of the tourist attractions in Lisbon. There are no keys to collect as, a few days before your trip, you receive a code to access the building and the actual flat, so the whole process is very easy. Nice decoration. Expresso coffee machine and kettle available. The apartment is incredibly well maintained and clean and in a great location with lots of restaurants nearby and a short walk to the Metro. Lisa was amazing being there to meet us and show us round the apartment and even calling us straight after we left to let us know that our daughter had left her beloved Peppa Pig behind which meant we could get it before it was too late. Fantastic location right in the heart of the restaurants and bars. 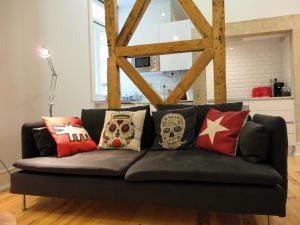 The apartment is new, stylish, the space very well organised with every comfort you need. Coffee machine, dishwasher, wash machine, two plasma tv, Netflix, air condition. We found oil, sugar, salt, coffee, and lot of soaps and detergents. We feel like at home. We were travelling with two little kids and that was the best choice for Lisboa! 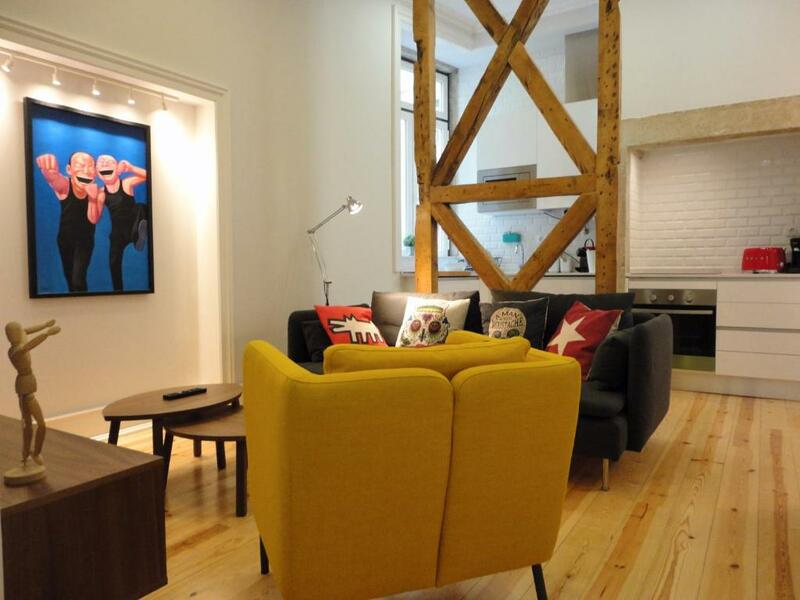 The building is an old one renovated in heart of Baixa with elevator, next to Praca Rossio and nearby metro and tram station. You’ll find everything you need next to the apartment. Quiet at night in a safe street full of turistic restaurant. Lisa was very nice and helpful. 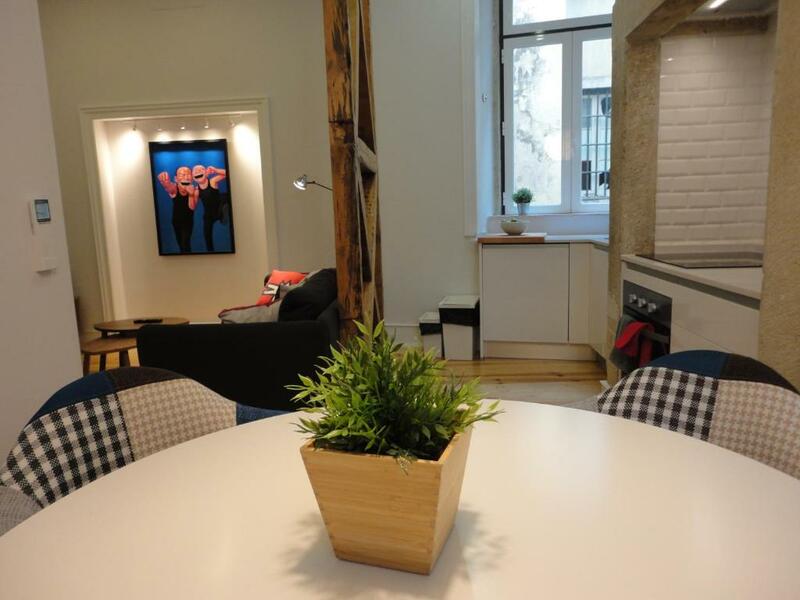 The apartment is very beautiful, bright, clean, the space well organized with every comfort you need, in an old renovated building in the heart of Baixa. You’ll find everything you need to cook and it was a good surprise to find fresh water and beer in the fridge, sugar, coffee, detergent, soap and so on. Lisa was a nice host and very helpful, thank you. I hope to come back again. 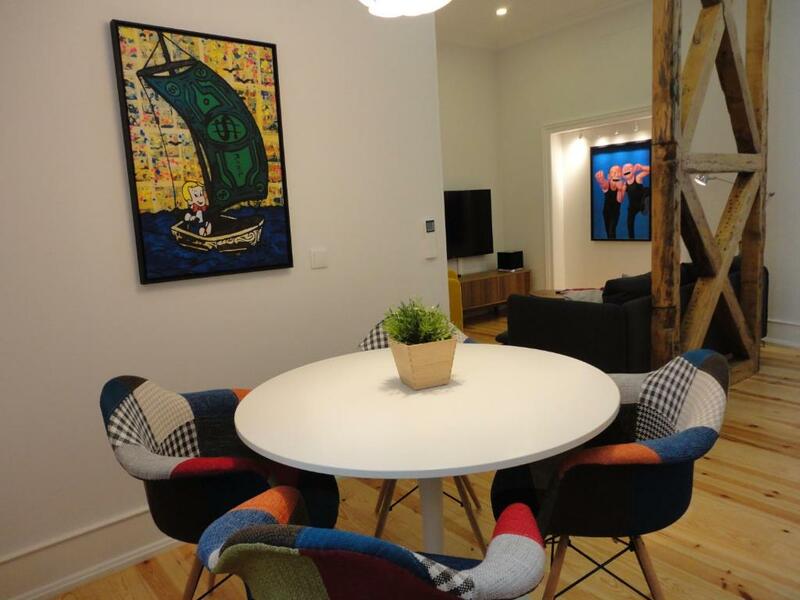 Lock in a great price for Lisbon Center Modern Art Apartment – rated 9.7 by recent guests! Located at a short 5-minute walk from Avenida da Liberdade in Lisbon, this air-conditioned apartment features a modern décor, with several design pieces and genuine pop art paintings. It is 650 feet from Rossio, in the historic downtown. The 2-bedroom apartment includes a full kitchen, complete with a dishwasher and an oven. There is a private bathroom and a living area. Free WiFi is provided. The nearest metro stop is just a 3-minute walk, providing easy access to most areas of the city. 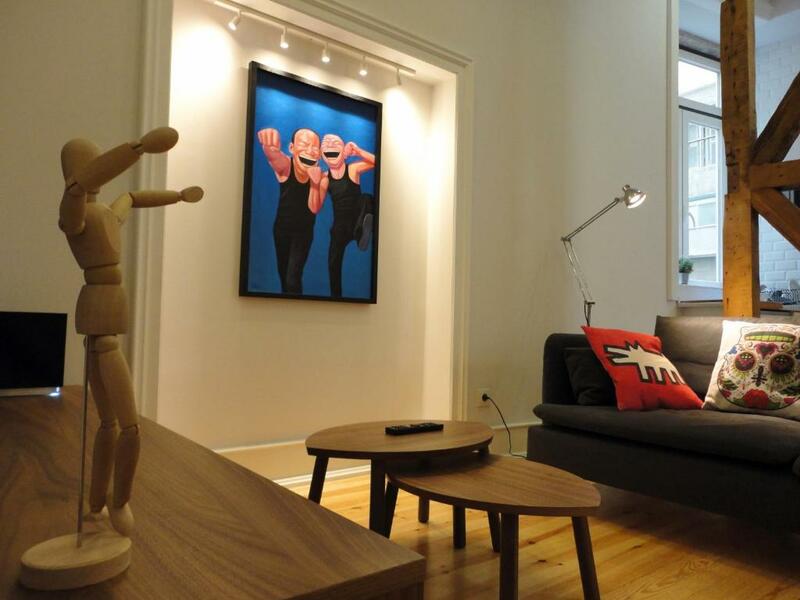 Chiado is 1,300 feet from Lisbon Center Modern Art Apartment, while Bairro Alto is 0.7 mi from the property. Lisbon Humberto Delgado Airport is 3.7 mi away. 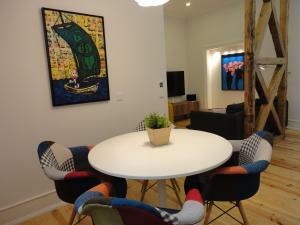 When would you like to stay at Lisbon Center Modern Art Apartment? 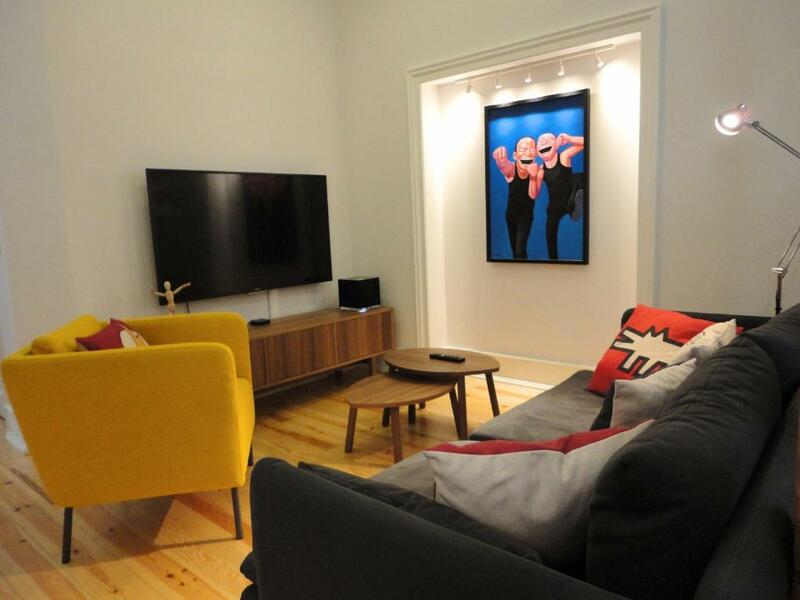 On a centenary building fully rebuilt in 2016 This cozy, modern decorated apartment with pop art paintings is only 5 minutes walking from all Lisbon's main sights and activities. Surrounded by shops, cafés and restaurants. Free Wi Fi, Wireless Audio system, 60" flat TV screen, Apple Tv and NETFLIX. The building has a lift and doors locked with a pin pad system. Fully equipped with a Nespresso coffee machine, microwave, oven, dishes and all the other accessories that you would expect in a normal flat. 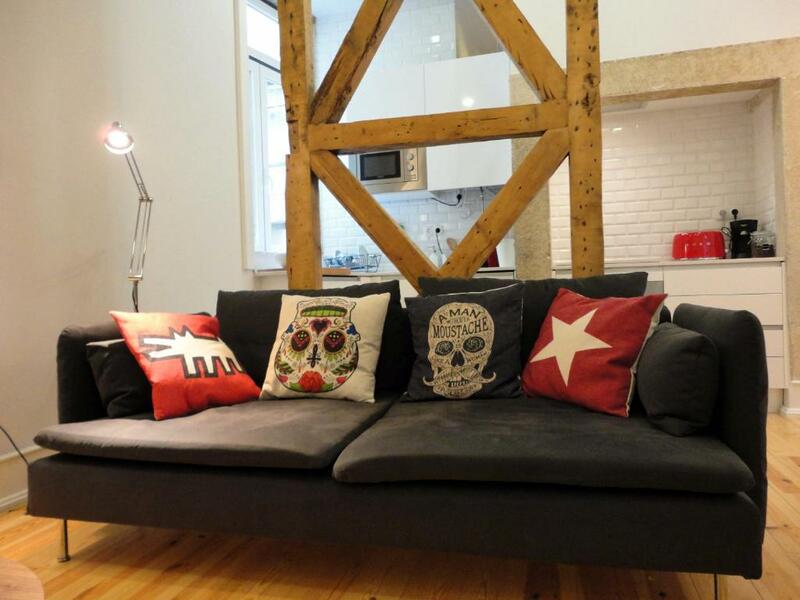 Purchased initially for only short periods of stay in Lisbon due to its location and complete renewal of the building, Jorge & Musette decided to share their good taste for interior design with those who are interested in renting an apartment in the centre of Lisbon. Our aim was to mix comfort, style, coziness and an excellent location. Correeiros is at the Lisbon Historic Center just one minute walking to Rossio and Teatro Nacional, two minutes to Chiado and Santa Justa Lift and many more points of interest. Look for Confeitaria Nacional, Nicolau, Fábrica Coffee Roasters, A Brasileira, TOPO Chiado, Cervejaria Trindade, Cervejaria Ramiro, Bairro do Avillez, Tasca do Chico, Park Rooftop Bar, Foxtrot Bar and Amoreiras 360 view are some of our recommendations. 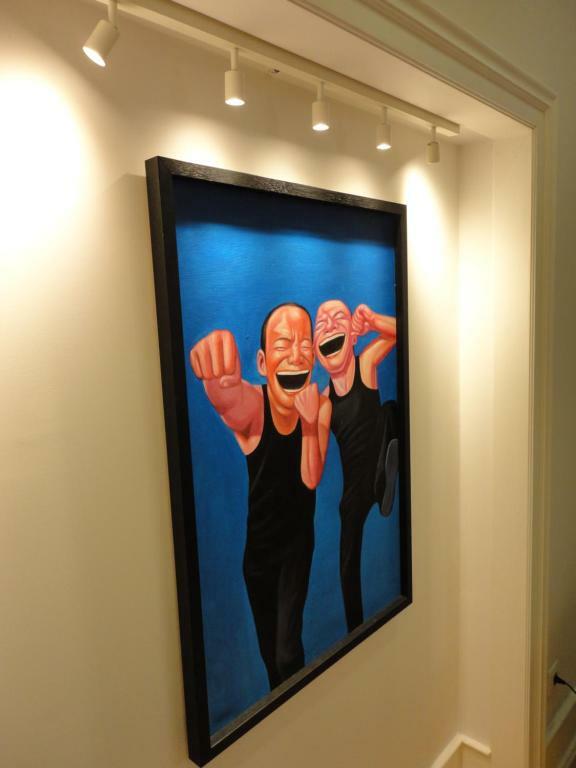 House Rules Lisbon Center Modern Art Apartment takes special requests – add in the next step! Booking.com takes your payment on behalf of the property for this reservation. During your stay, you can pay for any extras using American Express, ​Visa, ​Euro/Mastercard, ​Diners Club, ​JCB, ​Maestro, ​Discover, ​UnionPay credit card and Debit card . Please inform Lisbon Center Modern Art Apartment of your expected arrival time in advance. You can use the Special Requests box when booking, or contact the property directly using the contact details in your confirmation. There is no view from the apartment, but we were not in during the day anyhow. All else was perfect. Top location for sightseeing. Apartment is perfect for a family, and separate bathrooms are convenient for 2 couples. Kitchen well equipped. Our host Lisa was helpful and accessible. We had everything we needed. The temperature in the showers wasn't always very stable but other than that there were no problems. Noisy people upstairs and outside at times but to be expected really due to central location. A lot of noise, not from the street above, but from the apartment upstairs and people go up and down from the stairs al night long (why? They should use elevator!!!). Lisa and other hosts should put on rules in the building, because most people are unpolite! The apartment is very secure, easy to acces and in a great location. Lots of restaurants and easy acess to buses and taxis. Its a very workable, comfortable and compact apartment. Plenty of staples provided both cupboard and fridge...sugar, coffee, toilet paper, toiletries, sauces, jams, glad wrap, foil etc.... Nice hot water but make sure only 1 in the shower at a time. The wifi is perfect and the double glazed windows keep most of the noise out. Beds are very firm. Too firm for me. One quen and 2 singles. There's a washing machine and clothes rack. Things dry pretty quickly. Thank you Lisa we were very comfortable. 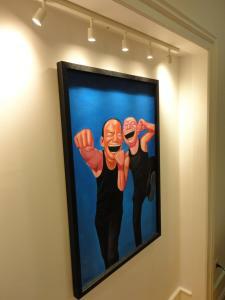 very helpful & friendly host - apartment spacious & clean - loved the decor - excellent facilities - very central location. Apartment is not big enough for luggage racks. No balcony to put a cloth line. Bathroom does not seem to have an active vent and some drains slowly. Dinning room table might be worn out soon (IKEA table top without a glass cover will not last long...).